Council Baradel is pleased to announce the launch of Bay Title Company's new website, baytitlemd.com. 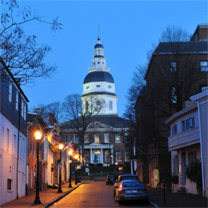 Bay Title Company, Council Baradel's wholly-owned subsidiary, provides closing, escrow, and title insurance services throughout Maryland for commercial and residential real estate transactions. The website features a quote application, which allows users to easily generate title quotes, seller net sheets and buyer estimates. Bay Title works with real estate professionals, lenders, buyers and sellers to provide timely and cost effective closings. Bay Title's unmatched institutional knowledge and the combined experience of its real estate attorneys and settlement processors have prepared them to handle complex and complicated transactions and title issues. Additionally, Bay Title's affiliation with Council Baradel equips them to quickly and efficiently handle various title issues that may arise from trusts, estates, and family law. Bay Title takes care of everything for you, so you can close on schedule.